In my two previous articles How to Design an Effective Email Follow Up Campaign and Beware of Stale Email Addresses I talked about things you should consider when planning an effective email follow-up campaign, including the negative effect a list of stale email addresses can cause. In this article, I’ll give a few simple tips on how you can clean your list up and actually use it to target customers specific interests and increase your sales. For those who aren’t familiar with the term “list building”, let me give you a brief summary. 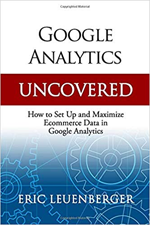 List building is the process by which one gathers requested information (opt-in only, no spam here) about a group or groups of visitors to later utilize during marketing campaigns. Keeping your list clean (or in other words, stocked with valid, verifiable information and active users) is critical to the success of future follow-up plans. 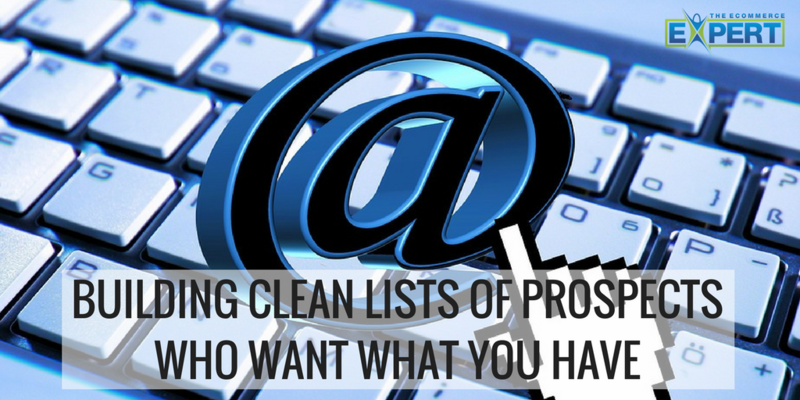 A dirty list is worth nothing and can have detrimental effects on the most well-planned marketing campaign. With a little creative thinking, and some proper wording, we can turn what would be an “ordinary opt-in” into a bonafide hot prospect that wants to hear from you. 1) Start with the headline. “Get Exclusive VIP Only Offers on New Widgets”. Now that you have their attention, you may want to briefly explain exactly what they can expect if they add themselves to your list. Heading: “Get Exclusive VIP Only Offers on New Widgets”. Subhead: Be one of the first to know about new widgets and get exclusive discounts available only through email. Subhead: Get a sneak preview on upcoming product specials made available only through email. Subhead: Learn hints and tips from pros on how to use your widget to accomplish everyday jobs saving you time and money. These types of headings and subheads are only examples. The aim is to attract people willing to provide you with a valid email address (because the content they will receive will be valuable enough for them to make sure they receive it) and also qualify them to some degree as “potential buyers” (prospects) through mentioning exactly what it is they can expect by adding themselves to the list. 3) Fill each email follow-up with information that truly helps those on your list improve the current situation they are in. If in one-way shape or form each of your follow-up campaigns aims to provide highly valuable information that helps the end reader better their situation and that information would be hard to find anywhere else, then you’ll be more likely to keep them interested, active and fresh on your list. Think about it. Would you stay on a list that often provided information which consistently assisted you in solving a problem, making your life easier, making you more money, or saving you money? Chances are you would. In that same respect, would you stay on a “newsletter” list that simply told you information which not only didn’t help make your life better, but could be found in a number of other locations without the extra email in your inbox? Chances are you wouldn’t stay long. Offering a gift, coupons, free trial samples, etc.. which must be mailed to them via standard postal service is an effective way to build a list that can be used in both online and offline marketing campaigns. Offering free trial samples of your products and send them to for only the shipping and handling fee does two things. Qualifies them as a higher level prospect that is willing to spend money online. You can be sure of this because they have already provided you with some type of payment information to cover the shipping and handling. I’ve seen this method work in a number of cases and be very effective at generating future sales from those that choose this route. The main goal of any effort, no matter the situation is to build a healthy, active list with people who stay. Provide them with quality information (and introduce them to products you offer which can truly help them) and you’ll see the benefits of a clean list filled with prospects that are eager to hear from you and who are likely to buy from you as well.